KEP-C100 – 100% Coconut Blanket – Kansas Erosion, LLC. 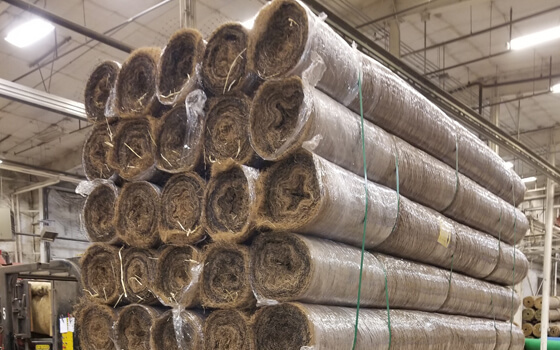 KEP-C100 is a temporary rolled erosion control product composed of 100% organic coconut fiber evenly distributed and mechanically stitch bonded with synthetic thread on maximum two inch centers between a top and bottom netting. 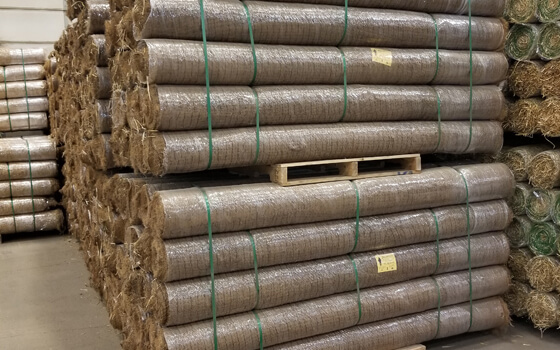 36 month photodegradable or leno woven biodegradable netting and stitching can be selected for this product to fit your site conditions and maintenance needs. KEP-C100 is available in 4’, 8’, and 16’ wide rolls x 112.5’ or 562.5’. KEP-C100 Natural is available in 4’, 8’, and 16’ wide rolls x 112.5’ or 562.5’.